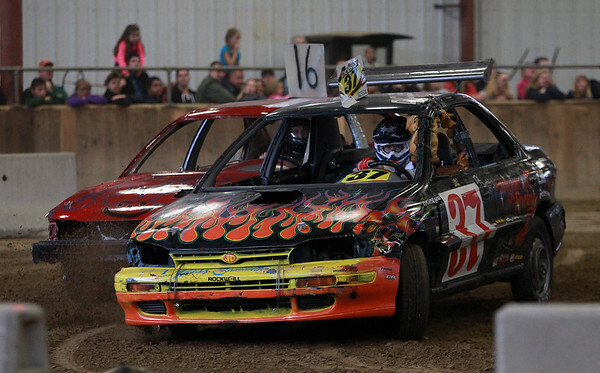 A couple cars collide during the Figure 8 Races in the Arena at the Topsfield Fair on Monday afternoon. DAVID LE/Staff photo. 10/13/14.